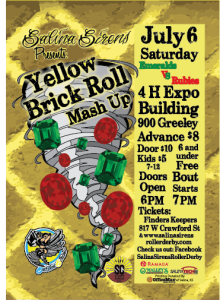 SALINA SIRENS ROLLER DERBY IS BACK. Join us on July 6th at the 4H Expo building BEFORE THE FIREWORKS to see some of these women in action. Some of the best hits you’ve seen will take place starting at 7pm. Doors open at 6pm.